WOW. If you have been searching for REAL ANSWERS about your soul mate relationship and if you want to know about any aspect of your situation I share it all in this live intensive recording. You receive the top 22 questions asked about soul mate relationships from all over the world, including how to receive answers for yourself, anytime you need them – for life! I brought through all of the answers via Higher Consciousness, and teach you exactly how to do the same thing so you are always empowered to receive every answer you need, free of charge, 24/7. I do stake my life on this process! No longer will you be searching for answers – you will receive them, and you will continue to receive them any time you need them. Tuition for this live recorded super empowering & awakening download is only $9.95 US. The recording is immediately available to you upon fully secure checkout from Pay Pal. so you can save it and listen to it any time you need to! This is truly an awakening journey where confusion, uncertainty, and tears are replaced with clarity, many A-HA moments of awakening, understanding, realizations, inner peace and even JOY! I am overjoyed to be able to be of the most positive service to you and to have the opportunity to bring you the real answers you have been searching for – exactly as I used to. I have to say that this is one of my all time favorite recordings – and I sincerely mean this with all of my heart. I am sure you will learn, experience, realize, awaken and most of all become truly EMPOWERED by all of the answers I have shared. Click on the Secure Download Button Below to Receive the Answers Now. 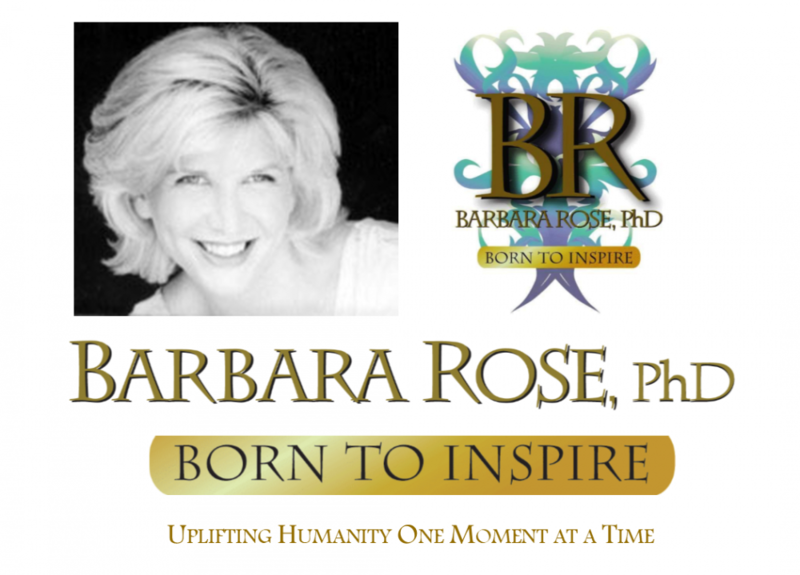 Dr. Rose has provided private sessions to people from all walks of life, countries and cultures. Her service has helped Government Leaders, Ministers, Doctors, Celebrities, Lawyers, NASA Scientists, Sports Athletes, Rock Star Musicians, Feature Film and Television Talent, Teachers, Stay at home Parents, Priests, University Heads, World Leaders, Royalty, and more. This entry was posted in Browse Relationships and tagged BORNTOINSPIRE, how to get over your soul mate, How to know if you are with your soul mate, live help with your soul mate relationship, match vs soul mate, myths and facts about soul mates, Personal Growth, Relationship Guidance, when your soul mate is with someone else by Barbara Rose, PhD |Born To Inspire | Bestselling Author| Life Transformation Expert. Bookmark the permalink. The Next thing you need is learn how to receive Higher answers, guidance and help that will TRANSFORM your current state into understanding, inner peace, and joy. You can learn this process in less than an hour from the book If God Hears Me, I Want an Answer! and you can download the e-book immediately from the link above or get the paperback. What is CRUCIAL is that you are no longer crying in misery – EXACTLY as I used to do in a fetal position unable to work or do anything from the depths of despair that you described so well in your comment. If you want a private session with me you can click on Divine Guidance Private Consultations on the main menu and I would be happy to help you personally. I wanted to give you resources that will create TRANSFORMATION from your current state into your NEW state of inner peace and joy. You’ve got to move forward with your life, exactly as I had to. I am sure that the help you need you will receive, both now and any time you need it in the future.